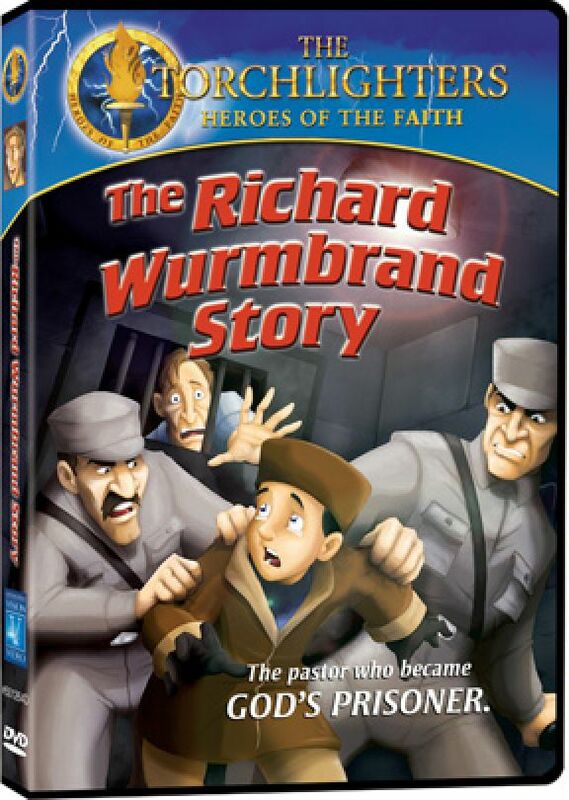 ﻿Torchlighters is a series of animated programs for youth ages 8-12, presenting the lives of true-life heroes from Christian history. When kids see what God can do through a “Torchlighter” who is devoted to carrying out His will and purposes, they too may want to carry a torch of faith by serving Him. For more information on the series, go to www.torchlighters.org. Viewers will immediately be swept into this story and held captive all the way to the end! While the target audience is ages 8-12, youth and adults can glean so much from this animated video. The story of Richard Wurmbrand is one of amazing courage as he chooses to speak up for Christ in war-torn Romania in the 1950s. His life and the lives of his wife and son are in great danger as his decision results in his imprisonment and torture. But God does not forget His own. Following Richard's release from prison, he and his wife and son came to the United States. His life continues to impact the persecuted church today through the ministry of The Voice of the Martyrs which he founded in 1967. There are 80 minutes of extras including "The Story of the Underground Pastor and His Wife." Their son offers insight into their lives as no one else could. The viewer has the option of setting it as the English or Spanish verison. I think Richard Wurmbrand was our favorite. Sarah Nixdorf - You Can Do It!!!!!! This DVD has proved its message to the world. The arrest at different times for each of the family members is met with a very strong faith. The theme of praying and forgiving those who aren't reachable except through the Hand of God is very evident to me. This has taught me how to love and forgive those who have wronged me. And if someone tells you or your kid not to witness to those around you Obey God despite this. I've told Mom that I'd rather have a jail cell for a room instead of the fanciest house in Naperville.